Authors: Kubrakov K.M., Semenov V.M., Marshalko O.V., Migunova V.A. Purulent meningitis is one of the most severe forms of inflammatory brain lesions. Mortality rate in purulent meningitis amounts 10.0-25.0%. Aim. To study the etiological structure and resistance to antibacterial drugs, to optimize the algorithm of etiotropic therapy of purulent meningitis in neurological patients. Materials and Methods. The data on etiology and resistance of causative agents of purulent meningitis in 54 neurological patients (28 of them are male; the average age is 47 (33.5; 58) years) for the period of 2010-2018 are presented in the article. The cerebrospinal fluid (CSF) study included general, biochemical, bacteriological analyses as well as the study of the D-lactate level. Identification of microorganisms and determination of resistance to antibacterial therapy was performed using identification test systems (ID) and strips (ATB) using the automatic microbiological analyzer ATB Expression (Bio Merieux, France). The combined test BD Directigen Meningitis Combo Test (Becton Dickinson, USA) was also used for the direct quantitative determination of antigens against H. influenzae, S. pneumoniae, N. meningitidis, E. coli. Statistical processing of the results was performed using Statistica 10.0 (Stat Soft Inc., USA) with the calculation of the sign frequency, 95.0% confidence interval (95.0% CI), median, upper and lower quartiles (Me [LQ; UQ]). Results. 83.33% of meningitis cases in neurological patients have been established to be manifested by purulent inflammatory processes, which is confirmed by the results of the CSF analysis and the level of D-lactate (p<0.05) in it. The inoculability of pathogens from CSF was 61.90% (95.0% CI 46.59-77.22%). At the same time, microorganisms were isolated in the monoculture. Gram-positive microflora constituted 88.46% (95.0% CI 75.30-100.0%) among the isolated pathogens. The main pathogens of purulent meningitis in the studied patients’ sample were Str. pneumoniae (34.62%) and S. aureus (26.92%); 96.15% of the isolated strains are sensitive to the most commonly used antibacterial drugs to treat meningitis. Conclusions. The etiological structure of purulent meningitis in neurological patients has been established. The resistance of pathogens to antibacterial drugs has been studied. The algorithm of etiotropic antibacterial therapy has been optimized. meningitis, neurology, antibiotics, antibacterial therapy, community-acquired infection, Pneumococcus, Staphylococcus aureus. Purulent meningitis/ meningoencephalitis (ME) are polyetiologic and may be caused by a large number of pathogenic and opportunistic pathogenic bacteria . Etiology is largely determined by the geographical area, level of economic development, socio-hygienic living conditions, work and life of different age groups of the population, the intensity of the epidemiological situation in relation to the main pathogens, the organization of vaccine prevention [1-3]. Rather high prevalence, persisting high mortality (10.0-25.0%), severe complications such as hydrocephalus, hearing loss, focal deficits, cognitive impairment (with these complications as a whole reaching up to 41.0-50.0%), maintain the current prevalence of this pathology [3-5]. The etiological cause of the overwhelm-ming majority of primary ME are three main pathogens: N. meningitidis, S. pneumoniae и H. influenzae [6,7]. However, the specific contribution of each of them to the pathological process development varies in different regions of the world . Pneumococcal and hemophilic ME are known to be characterized by a more severe course, high mortality rates (up to 70.0%), more frequent development of serious late complications [7-9]. It is important to note that information concerning the prevalence of meningitis in the world up to the present is only fragmentary . In our country, as in the Russian Fe-deration, only meningococcal infection is officially registered. Information about meningitis of another etiology does not have official status and forms, and is studied only as a part of specially organized scientific research . Patients with a clinical picture of meningitis are usually hospitalized in an infectious diseases hospital, but often they are sent to a neurological hospital or to the intensive care units of multi-field hospitals due to the difficulties in timely diagnosis and severity of the condition. As a result, the proportions of meningitis prevalance in the country are unknown, the epidemiological features are not well understood and there is no active system for microbiological confirmation of pathogens . Another important problem, in our opinion, is the timeliness of meningitis diagno-sing [3,8]. According to professor Yu.Ya. Vengerov, et al. (2014), in hospital, the outcome of the disease largely depends on the speed of diagnostics of meningitis and verification of its pathogen . Establishing the etiology in the early stages of the disease determines the choice of rational therapy and the organization of adequate anti-epidemic measures in the patient’s environment . In the Republic of Belarus, monitoring the resistance of ME pathogens is most often carried out locally if there are microbiological laboratories in health care institutions. There is practically no analysis at the regional and republican levels, except for the information on N. meningitidis. Most of the domestic recommendations for the treatment of ME are based on the foreign studies data, primarily the results of resistance monitoring in the Russian Federation [7,11]. Thus, to work out the effective methods of ME etiotropic therapy and to control the growth of antibiotic resistance, it is significant to monitor pathogens and to determine the resistance of the main ME pathogens. Aim – to study the etiological structure and antibiotic resistance of purulent meningitis pathogens in patients hospitalized to the neurological hospital, to work out the schemes of etiotropic therapy. From 2010 to September, 2018, 54 patients diagnosed with inflammatory lesion of the brain membranes – meningitis (G00 according to the International Classification of Diseases and Related Health Problems, 10th Revision, ICD 10) were treated at Vitebsk Regional Clinical Hospital. 28 (51.85%) of them were men; 21 patients were hospitalized at the neurological department, 33 were at the intensive care unit because of the condition severity. The patients' age ranged from 4 months to 79 years, the median was 47 [33.5; 58] years; 43 (79.63%) patients were of working age. Participation in the study was voluntary; the study protocol was approved by the Ethics Committee of Vitebsk State Order of Peoples' Friendship Medical University. All patients underwent neuroimaging (computed and magnetic resonance imaging of the brain) on admission and in dynamics to exclude intracranial volume processes. All (n=54) patients showed clinical signs of inflammatory changes in the brain membranes, which were characterized by febrile-intoxication and meningeal syndromes, as well as characteristic changes in the cerebrospinal fluid (CSF). The addition of the cerebral syndrome (impairment of consciousness and psyche, generalized convulsions), focal neurological symptoms (paresis of the cranial nerves, limbs, pelvic and coordination disorders, pathological reflexes, etc.) indicated the spread of the inflammatory process to the brain substance. CSF was taken when performing diagnostic spinal punctures on the right side lying position under local anesthesia. Laboratory research included macro- and microscopic, biochemical, and bacteriological studies. 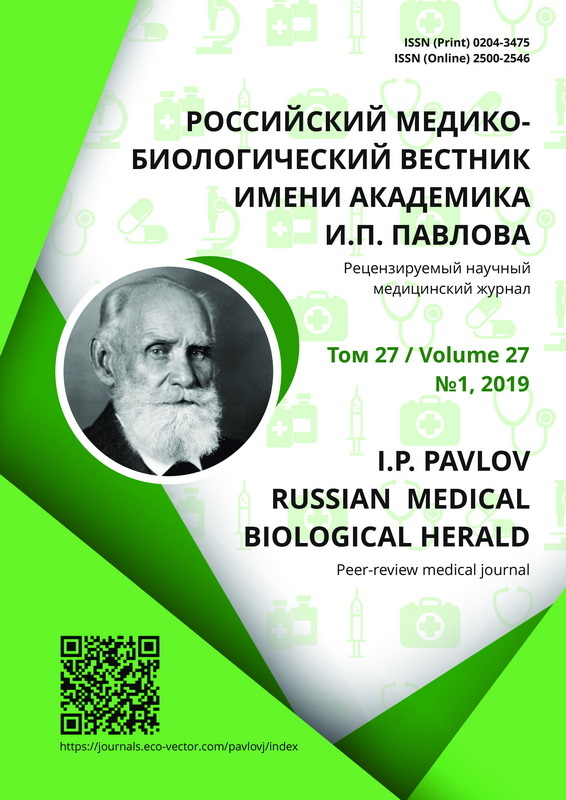 For the differential diagnosis of the inflammatory process in the cerebrospinal fluid D-lactate was determined (test system «D-Lactam», LLC Civital, the Republic of Belarus), which is a marker of the bacterial etiology of the inflammatory process . The cerebrospinal fluid analysis on microflora was carried out at the Republican Scientific and Practical Center «Infection in Surgery» and the bacteriological laboratory of Vitebsk Regional Clinical Hospital. Micro-organisms identification was performed using test systems (ID 32 E, rapid ID 32 STREP, ID 32 STAPH, ID 32 GN) on «ATB Expression» automatic microbiological analyzer (Bio Merieux, France). A combined test of BD Directigen Meningitis Combo Test (Becton Dickinson, USA) based on the latex agglutination was also used to quantify directly antigens against H. influenzae type b, S. pneumoniae, N. meningitidis groups A, B, C, Y or W135 and E. coli K1. The results were interpreted according to the recommendations of EUCAST (2013) . quantitative determination of sensitivity in a semi-liquid medium on «ATB Expression». The statistical processing of the research results was performed using the SPSS 12.0 application software package (license 11906017), Statistica 10.0 (Stat Soft Inc., USA) (license STAФ999K347156W). The normal distribution of signs was determined by visual analysis of the histogram; the criteria of Kolmagorov-Smirnov, Shapiro-Wilk were evaluated. The data were processed using non-parametric research methods with the calculation of the frequency of the trait, 95.0% confidence interval (95.0% CI), median, upper and lower quartiles (Me [LQ; UQ]). The comparison of the frequency of the binary trait in 2 unrelated (independent) groups (analysis of tables 2×2) was performed by the χ2 criterion, by the exact two-sided Fisher, Mann-Whitney criterion. The zero hypothesis was rejected, differences in indicators were considered statistically significant at p<0.05. The frequency of symptoms is presented in absolute and relative (%) values. All patients (n=54) on admission underwent neuroimaging and spinal puncture to verify the diagnosis. Subdural empyema was detected in 3 patients (5.56%), and the brain abscess in 2 patients (3.70%). The patients underwent sanitizing operations aimed to remove the focal purulent intracranial formations. Subsequently, they continued the conservative treatment of the inflammatory process under the control of resuscitation specialists, neurologists and neurosurgeons. Laboratory analysis of CSF is presented in Table 1. The determination of pleocytosis and its differentiation, protein levels, glucose allow establishing in most cases the genesis of meningitis. Based on these criteria, 45 patients (83.33%, 95.0% CI 73.07-93.60%) showed signs of purulent ME (neutrophilic cytosis, elevated protein, reduced glucose), in 9 patients (16.67%, 95.0% CI 6.40-26.93%) – serous ME (p<0.001). According to professor Yu.Ya. Vengerov, et al., when using routine diagnostic methods, patients with a 2-3-digit neutrophilic or mixed pleocytosis of CSF present the greatest diagnostic difficulties. This group may include the patients with second-dary bacterial ME in sepsis, brain abscesses, primary bacterial purulent ME in the early stages of the disease or patients undergoing antibiotic therapy, patients with tuberculous meningitis, viral neuroinfections in the early stages, subarachnoid hemorrhages [10,17]. Therefore, to clarify the nature of meningitis, CSF is additionally examined for procal-citonin, lactate, C-reactive protein, levels of fibrin D-dimer, etc. [8,14,16]. For the differential diagnosis of the serous and purulent nature of meningitis, simultaneously with the bacteriological culture, we examined CSF for D-lactate, which is produced only by microorganisms . For the bacteriological analysis, CSF was taken from 48 (88.89%, 95.0% CI 80.23-97.55%) patients, in 6 patients the liquor culture on the microflora was not taken. Analyzing CSF for D-lactate of 48 patients, in 6 (12.5%) the level of D-lactate in the CSF made up 0.17 [0.12; 0.20] mmol/l, which indicated the ME serous nature and did not require prescription of any antibacterial drugs. In the remaining 42 patients, the level of D-lactate was 0.39 [0.31; 2.20] mmol/l, which corresponded to the bacterial nature of ME (p<0.05). Antibacterial drugs were administered to these patients. The inoculability of microorganisms from CSF made up 26 cases out of 42 bacteriological tests performed, i.e. 61.90% (95.0% CI 46.59-77.22%). Microflora in all cases (n=26) was isolated in the form of monoculture. In 16 patients, the cerebrospinal fluid was sterile, but the D-lactate level was 0.43 [0.40; 0.47] mmol/l. Of 26 isolated pathogens, 23 strains of gram-positive microorganisms were identified (88.46%, 95.0% CI 75.30-100.0%) and 3 strains (11.54%, 95.0% CI 1.62-24.70%) were gram-negative (p <0.001). Of 23 isolated gram-positive pathogens, 9 strains (34.62%, 95% CI 15.02-54.21%) are Staphylococci, 2 (7.69%, 95.0% CI 0-18.67%) are Enterococci (E. faecalis and E. faecium), and 12 (46.15%, 95.0% CI 25.62-66.69%) are Streptococci. The Streptococ-caceae family was represented by 9 strains of Str. pneumoniae (34.62%, 95.0% CI 15.02-54.21%), 2 strains (7.69%, 95.0% CI 0-18.67%) – Str. agalactiae and 1 strain (3.85%) – Str. hemoliticus. The genus Staphylococcus included 7 strains (26.92%, 95.0% CI 8.65-45.19%) of S. aureus and 2 strains (7.69%, 95.0% CI 0-18.67%) of S. epidermidis, which refers to coagulase-negative staphylococcus (CoNS). All (n=3) gram-negative pathogens belonged to the Enterobacteriaceae family, of which 2 microorganisms (7.69%, 95.0% CI 0-18.67%) were identified as E. сoli (3.85%) and 1 – K. pneumoniae (3.85%) (Fig. 1). We have also studied and analyzed the resistance of the main causative agents of ME to antibacterial therapy. Strains of Str. pneumoniae (n=9) turned out in 100.0% of cases to be sensitive to commonly used antibiotics: amoxicillin, amoxicillin/clavulanate, cefotaxime, ceftriaxone, cefepime, ciprofloxacin, levofloxacin, chloramphenicol, rifampicin and vancomycin. Six strains of S. aureus (85.71%) demonstrated 100.0% sensitivity to oxacillin, vancomycin, linezolid, gentamycin, amikacin, ciprofloxacin, levo-floxacin, cefotaxime, ceftriaxone, cefepime, chloramphenicol and teicoplanin. However, one strain (14.29%) of S. aureus turned out to be oxacillin-resistant (Methicillin resistant Staphylococcus aureus, MRSA), also demonstrating resistance to amikacin, ciprofloxacin, meropenem and cefepime. However, it appeared to be sensitive to vancomycin and linezolid. It should be noted that this strain was isolated from a patient who repeatedly underwent inpatient treatment for complicated diabetes mellitus, type 2 and was hospitalized in a severe septic condition. All gram negative strains (n=3) belonging to the Enterobacteriaceae family, have appeared to be 100.0% sensitive to all commonly used antibiotics (cefotaxime, ceftriaxone, cefepime, meropenem, cipro-floxacin, levofloxacin, gentamycin, ami-kacin, colistin, tigecycline). Enterococci also showed 100.0% sensitivity to ampicillin, amoxicillin, ampicillin/sulbactam, vancomycin, and linezolid. Thus, improving the quality of medical care for ME patients can be achieved by advancing the knowledge of doctors of non-core hospitals on neuroinfections, enhancement of bacteriological diagnostics, express method determination of antimicrobial resistance, inclusion of the express method determination of D-lactate level in CSF in the routine examination on a real time basis, as well as the use of modern regimens for the use of antibacterial drugs [14-16]. We have found out that the etiological structure of meningitis in neurological patients in 83.33% of cases is represented by purulent inflammatory processes and only 16.67% by serous (p<0.001), which is also confirmed by the analysis of CSF for D-lactate (p<0.05). Considering that D-lactate liquor analysis is a specific test for the bacterial nature of pathogens and is performed for 1.5 hours, this gave us the opportunity to correct the initial etiotropic therapy in 42 patients during the first hours of hospitalization. Representatives of gram-positive microorganisms play a large role in the deve-lopment of ME, the isolation frequency of which made up 88.46% (p<0.001), which is consistent with the data of foreign authors [6,7,10,15]. 46.15% of cases included the microorganisms of the Streptococcaceae family. The main clinically significant pathogens (more than 60% of ME cases) are Str. pneumoniae (34.62%) and S. aureus (26.92%). When studying the resistance of 26 clinical microbes to antibacterial drugs, we have identified only one pathogen (3.85%) of S. aureus, which turned out to be MRSA, which must be considered when prescribing etiotropic therapy. At present, beta-lactam antibiotics (III-IV generation cephalosporins, carbapenems), fluoroquinolones, vancomycin rifampicin, linezolid are used for ME empiric and etiotropic therapy [7,10]. According to the obtained data on the resistance of microorganisms and the performed analysis of literature data, we can use third-generation cephalosporins as empirical therapy of ME, in severe cases (in the pre-sence of brain abscesses, intracranial empy-ema, ventriculitis, extracerebral purulent foci) and in case of septic condition – carbapenem in combination with glycopeptides [7,10,16]. Empirical antimicrobial therapy can be changed in case of isolating the direct pathogen, in obtaining the results of its resistance and lack of effect from the conducted antibiotic therapy (usually on the 3rd day of treatment). Considering the pathogens isolated by us, the studied sensitivity to antibacterial drugs, as well as the recommendations of va-rious authors [7,8,10,15,16], the algorithm of empirical therapy of bacterial ME (Academician of the Academy of Natural Sciences, professor Yu.Y. Vengerov, 2018) has been optimized for neurological hospitals of the Republic of Belarus with the indication of drugs, doses and ranking: for drugs of choice and alternative means (Table 2). The structure of meningitis in neurological patients in 83.33% of cases is represented by purulent inflammatory processes, in 16.67% – serous ones (p<0.001), which is confirmed by the results of the gene-ral analysis of cerebrospinal fluid and levels of D-lactate in it (p<0.05), which makes it pos-sible to correct patients’ treatment regimens during the first hours of hospitalization. Significantly more often (p<0.001) the etiological cause for the development of purulent meningitis in patients admitted to the neurological hospital is gram-positive micro-flora; its frequency for the period of 2010-2018 years in neurological hospitals of the Republic of Belarus amounted to 88.46% (95.0% CI 75.30-100.0%). The inoculability of microorganisms from the cerebrospinal fluid in secondary purulent meningitis is 61.90% (95.0% CI 46.59-77.22%); the microflora is isolated as monoculture. In 46.15% of cases, pathogens of secondary purulent meningitis are representatives of the Streptococcaceae The main pathogens were Str. pneumoniae (34.62%) and S. aureus (26.92%). Isolated 96.15% of microorganism strains demonstrate high sensitivity to the most commonly used antibacterial drugs for meningitis. On the basis of the obtained data, the antibacterial therapy regimens for meningitis/meningoencephalitis for neurological hospitals of the Republic of Belarus have been optimized. Costerus JM, Brouwer MC, Bijlsma MW, et al. Community-acquired bacterial meningitis. Current Opinion in Infectious Diseases. 2017;30(1):135-41. doi: 10.1097/QCO.0000000000000335. Koroleva IS, Beloshiczkij GV. ; Pokrovskij VI, editor. Meningokokkovaya Infekciya i Gnojny`e Bakterial`ny`e Meningity. Moscow: MIA; 2007. (In Russ). Mikhailova EV, Shteinberg AV, Eremeyeva IG. Algorithm of ethiologic diagnostics of meningitis in children taking into account protein level of acute inflammation stage. Detskie Infekcii. 2008; 7(3):61-4. (In Russ). Lucas MJ, Brouwer MC, van de Beek D. Neurological sequelae of bacterial meningitis. Journal of Infection. 2016;73(1):18-27. doi: 10.1016/j.jinf.2016.04.009. Koroleva IS, Beloshitsky GV, Spirikhina LV, et al. Basic lines and results of researches on meningococcal infection and purulent bacterial meningitis. Epidemiology and Infectious Diseases. 2009;(2): 40-4. (In Russ). Mirecka A. Etiological agents of bacterial meningitis in adults and antibiotic susceptibility of Streptococcus pneumoniae isolated between 2009-2016 from patients of Regional Specialist Hospital of Dr Wł. Biegański in Lódź. Przegla̧d Epidemiologiczny. 2018;72(3):313-24. doi: 10.32394/pe.72.3.8. Solovey NV, Karpov IA, Davydov AV, et al. Diagnosis treatment and prophylaxis of community-acquired bacterial meningitis: the review of the guidelines of European Society for Clinical Microbiology and Infectious Diseases. Clinical Micro-biology and Antimicrobial Chemotherapy. 2017; 19(2):102-15. (In Russ). TSinzerling VA, CHukhlovina ML. Infektsionnyye Porazheniya Nervnoy Sistemy. Voprosy Etiologii, Patogeneza i Diagnostiki: Rukovodstvo dlya Vrachey. Saint-Petersburg: ELBI-SPb; 2011. (In Russ). Vengerov YuYa., Nagibina MV. Bakterial’nyy gnoynyy meningit. Spravochnik fel`dshera i akusherki. 2014;10:10-7. (In Russ). Koroleva IS, Beloshitsky GV, Chistyakova GG, et al. Epidemiological surveillance of purulent bacterial meningitis. Epidemiology and Infectious Diseases. 2004;3:21-5. (In Russ). Chen Z, Wang Y, Zeng A, et al. The clinical diagnostic significance of cerebrospinal fluid D‐lactate for bacterial meningitis. Clinica Chimica Acta. 2012; 413(19-20):1512-5. doi: 10.1016/j.cca.2012.06.018. Leclercq R, Cantón R, Brown DF, et al. EUCAST expert rules in antimicrobial susceptibility testing. Clinical Microbiology and Infection. 2013;19(2): 141-60. doi: 10.1111/j.1469-0691.2011.03703.x. Microbiology and Infectious Disease. 2018;18(3): 482-6. doi: 10.1016/j.diagmicrobio.2018.10.008. Heckenberg SG, Brouwer MC, van de Beek D. Bacterial meningitis. Handbook of Clinical Neurology. 2014;121:1361-75. doi: 10.1016/B978-0-7020-4088-7.00093-6. Vengerov YuYa, Nagibina MV. Likvorologicheskiye issledovaniya pri bakterial’nykh gnoynykh meningitakh. Zhurnal Infektologii. Prilozheniye. Materialy IV Kongressa Evro-Aziatskogo Obshchestva po Infektsionnym Boleznyam. 2016;8(2):29-30. (In Russ). Copyright (c) 2019 Kubrakov K.M., Semenov V.M., Marshalko O.V., Migunova V.A.